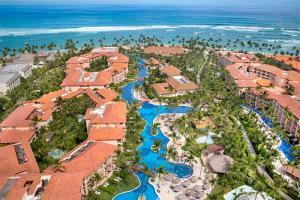 This 658-room oceanfront resort is located on one of the most beautiful beaches in the world. It is perfectly integrated with the exuberant flora and fauna of the Dominican Republic,all harmonized with the gentle breeze of its incredible coast. Ideal for relaxing, guests can also practice their favorite sports, dine on exquisite cuisine, browse the local shops and dream with the spectacular shows played by the rhythms of the Caribbean.